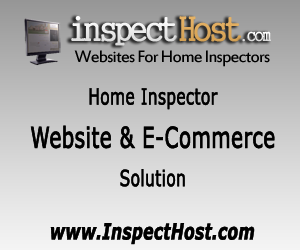 Home Inspection is a licensed profession in New Jersey. PHII is NOT approved to provide the required education. 3.) 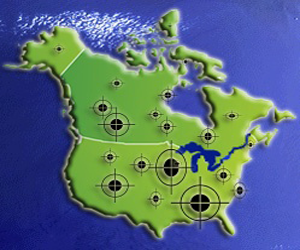 Successfully pass the NHIE or complete 250 inspection under direct supervision of a licensed inspector. 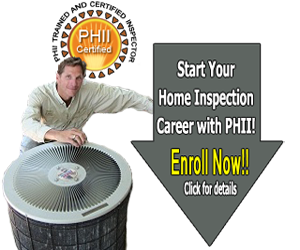 Note: PHII has courses approved for home inspector continuing education. Home inspectors are required to complete a minimum of 40 hours of continuing education for each biennial licensing period. Up to 20 units of continuing education can be obtain through online courses. WeatherizationCourse.com offers training and weatherization certifications to inspectors and has contact information for New Jersey Weatherization Assistance Programs. More information about weatherization training courses. To be licensed for radon inspection in the state of New Jersey, testers are required to complete a state approved training course and exam. The PHII Radon Measurement course is not approved in New Jersey. Please contact the Radon Program [(800)648-0394 within New Jersey or (609)984-5425 from outside New Jersey] to obtain an application and further information. 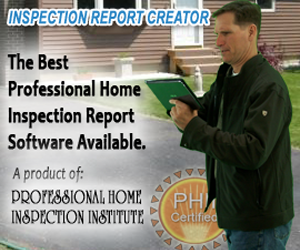 Do You Need to Find a Home Inspector in New Jersey?